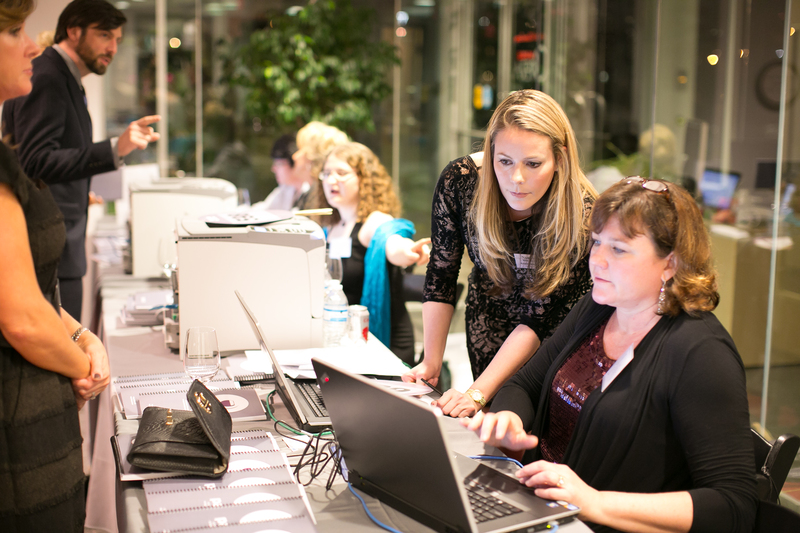 Hands On Nashville is fortunate to work with inspired corporate groups looking to make a difference. Recently, TechnologyAdvice Media Relations Coordinator Jenna Elkins sent us this great recap of the volunteer efforts her team has led this year! At TechnologyAdvice, we are committed to serving the Nashville area, along with the people and local businesses that have helped us thrive. In fact, we’ve centered our entire company culture around giving – giving our all to our clients, our employees, and our community. As of January 2015, we’ve ramped up our volunteer efforts in order to better serve our community and benefit our employees. Studies show that a culture of giving at the workplace enhances moods, encourages teamwork, and keeps employee churn low. As a small but rapidly growing business, volunteering allows us to build positive community relations by serving people from all walks of life and assisting with environmental projects that better our surrounding area. Through the Hands On Nashville volunteer platform, we’ve connected with unique, and rewarding volunteer projects. It’s a simple system that allows us to seamlessly sign up team members for various activities. We’ve had wonderful experiences, and are looking forward to more! Technology/Advice team planting trees with Hands On Nashville in March. “After we arrived on site we received a short, informative presentation about the importance of riparian zones and their effect in controlling run-off waters. Nashville has previously seen intense flooding in some areas, so these zones are crucial for ensuring that excess water can safely be absorbed into the ground. Once we had been oriented and shown the proper techniques, we picked up our shovels and started planting. To ensure that each tree had a chance to successfully grow, we had to space them correctly and carefully cover them with soil. Everyone on the team had fun digging holes and searching for areas which needed additional trees. During the event some of our team members also found a variety of wildlife. 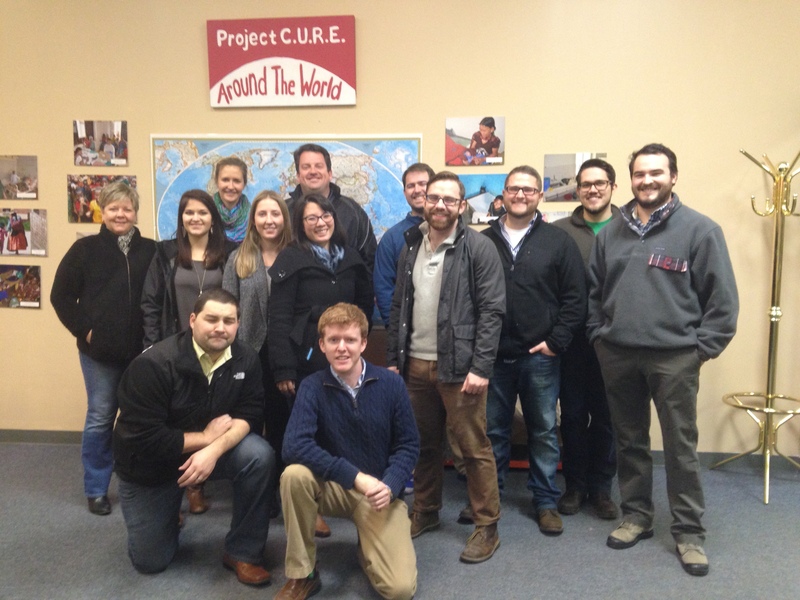 TechnologyAdvice team volunteering at American Cancer Society’s Hope Lodge in spring 2015. Hope Lodge Game Night – American Cancer Society: Nine of our team members shared in some fun with the residents of the American Cancer Society’s Hope Lodge by playing rounds of bingo. Hope Lodge provides free temporary housing for cancer patients receiving outpatient treatment at Nashville hospitals. Technology/Advice team helping at The Nashville Food Project in spring 2015. Meal Prep at The Nashville Food Project: Our team was feeling like iron chefs during this activity. We helped process donated and grown produce for the Nashville Food Project’s hot meal program. Our 11 volunteers chopped butternut squash, peeled sweet potatoes, made quesadillas, and more. 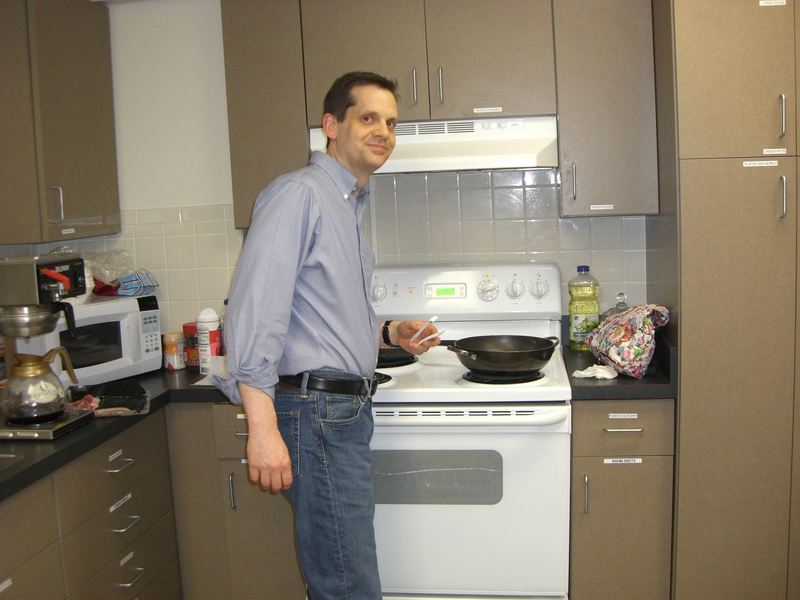 We used many ingredients to make delicious hot meals for people experiencing homelessness and poverty. Technology/Advice team at Project C.U.R.E. Project C.U.R.E: Fourteen of our team members supported Project C.U.R.E., which collects new, surplus, and overstock medical supplies. We sorted all kinds of different medical supplies, and packed them in boxes, which were delivered to one of Project C.U.R.E’s targeted, developing countries. Interested in a customized, team building opportunity to give back with your staff? Want to share a volunteer experience with us? Let us know at contactus@hon.org. Even the most novice food enthusiast recognizes the importance of pairing wine with certain dishes and cuisines. But here in Nashville, whether you’re a ‘foodie’ or not, one of the best things you can pair with wine is something that might actually surprise you—your time. Combining fantastic wines and philanthropy, the Nashville Wine Auction is a self-sustaining, nonprofit, charitable organization that exists solely to raise funds in the fight against cancer by engaging Nashville wine enthusiasts and wine communities from around the globe. In its 30-plus years of existence, the organization has raised more than $17 million for local cancer charities, including the American Cancer Society’s Hope Lodge, Gilda’s Club, the Vanderbilt-Ingram Cancer Center, Saint Thomas Cancer Network, and more. It all began in the summer of 1980, when a group of Nashville friends (led by Tennessean critic Homer Blitch and local businessman Thomas J. Milam) decided to put together a wine auction to raise money for the American Cancer Society. They called it “l’eté du Vin” (A Summer of Wine) and the event generated more than $3,000 in contributions. 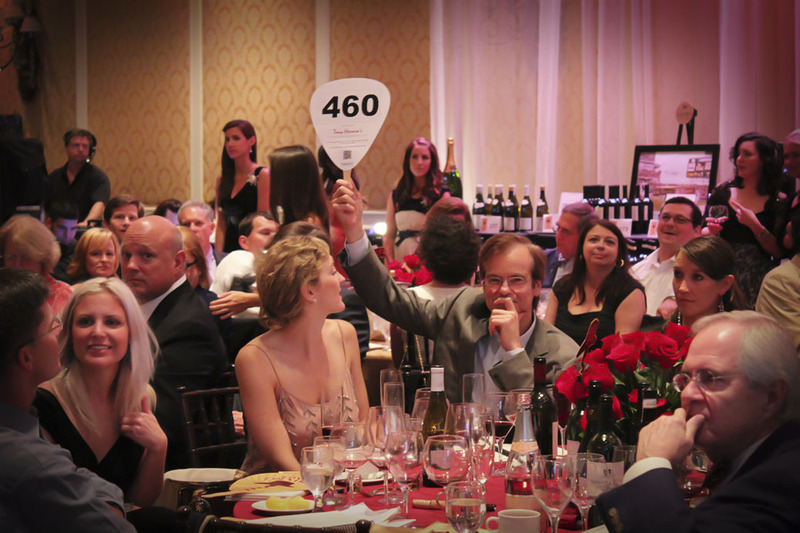 After a popular and successful debut, the auction became an annual affair and gradually expanded to a series of summer-long events in Nashville that has attracted visitors and wine fans from across the United States. By 1993, l’eté du Vin had grown into the country’s biggest one-day charity wine auction outside the California wine regions. Re-branded in just the last year as the Nashville Wine Auction, l’eté du Vin remains the group’s marquee event. But the organization produces a host of similar affairs throughout the calendar year now as well, and volunteers play a vital role in ensuring the success of all of them. For many, the chance to donate their time to such a unique organization that is working to fight cancer right here in Middle Tennessee has resulted in a truly one-of-a-kind volunteer opportunity. Hard-working, focused individuals can volunteer with the Nashville Wine Auction in a variety of capacities, including event and silent auction setup, live auction assistance, guest registration, and more. Sound enticing? There are a few upcoming events at the Nashville Wine Auction that you can donate your time to this summer. >Sign up to volunteer with the Nashville Wine Auction! Interested individuals can email Kristin@NashvilleWineAuction.com and visit the Nashville Wine Auction website for further information about events and volunteer opportunities available. The group serving at Hope Lodge. I work at a volunteer resource center – which is amazing and allows me to connect people who want to help our community to other people who could use a helping hand. What it doesn’t allow me to do is spend a lot of time volunteering. Usually. One of my roles at HON is to train and manage the dedicated Volunteer Leader (VL) corps. They are the folks you usually see at projects, making sure that you have the tools that you need, getting you signed in and generally making sure that you’re having a good time AND a meaningful experience. (It’s a big job, isn’t it?) Last month, I was blessed to volunteer four times in one week. The following is an experience I had at one of the projects. Hands On Nashville closes on President’s Day. We run around like crazy men and women on MLK Day, making sure that everyone else’s day off can be put to good use. By mid-February, we are all ready for a little R&R. I started my day off with a workout, then showered and signed into work email to make sure everything was running as it should. There was an email from Keitha, one of the VLs for Dinner at Hope Lodge. She was emailing to let me know that a number of people were dropping out that afternoon and that she didn’t think we would have enough food for the Hope Lodge residents. She had already called Hope Lodge to manage expectations and was writing just to let me know. So, I emailed her back, put on my sneakers, and headed to Kroger for brownie mix and veggies to roast. Several hours later, I had made three batches of brownies and two batches of roasted veggies. It was time to head out. In the rain. On my day off. But, we had a great time. We had enough people and plenty of food, as it turned out. I was glad I went. It’s always nice to get out from behind my desk to see the service that we help make possible come to life. And then, it happened. I first noticed this young couple when we welcomed everyone into the kitchen to serve themselves dinner. They were about my age – I’m 33. They were staying at the Hope Lodge, a free place to stay for people getting cancer treatment who don’t live near Nashville. It didn’t seem right. People my age shouldn’t be at the Hope Lodge. I put them out of my mind and continued on, making sure everyone had what they needed, bagging up leftovers, getting closer to a little down-time with each step. After all, this was my day off. I hadn’t planned to devote most of it to work. Finally, at 7:15 we were done. Keitha thanked us all and sent us home. And as I walked out of the kitchen, the guy my age came over, wrapped me in a bear hug, and thanked me. He had expressed his thanks all evening, but this was it for me. My coworkers can tell you that I value my personal space. But as Alex squeezed me tight, thanking me for feeding him and his companion, I fought back tears. Six hours of standing, cooking, serving and cleaning disappeared and all I felt was thankful. I am thankful for my health and thankful that at HON we make these moments possible every day. 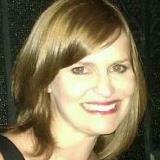 A native Texan, Elizabeth Madsen serves as HON’s director of nonprofit and volunteer relations. She helps HON’s Nonprofit Partners think about ways to engage volunteers in meaningful service work, manages the Volunteer Leader Corps, and sends you an email every time you sign up to volunteer. (Okay, fine. A computer does that last part.) Elizabeth is training to complete her first half marathon in June. “If it wasn’t for Hope Lodge, I would have slept in my car at Wal-Mart.” Samuel, a guest of Hope Lodge, is one of many for whom this has been a place of refuge and hope during a very difficult time. The mission of the American Cancer Society (ACS) is to eliminate cancer as a major public health problem through prevention, saving lives, and easing suffering from cancer through research, education, advocacy, and service. The Hope Lodge is a service of ACS, providing lodging at no cost to cancer patients and their families who come into Nashville for treatment. Each year, Hope Lodge serves nearly 1,800 people and gives 23,000 free nights of lodging annually. Volunteers comfort families at Hope Lodge by providing home-cooked meals. a home-cooked meal. 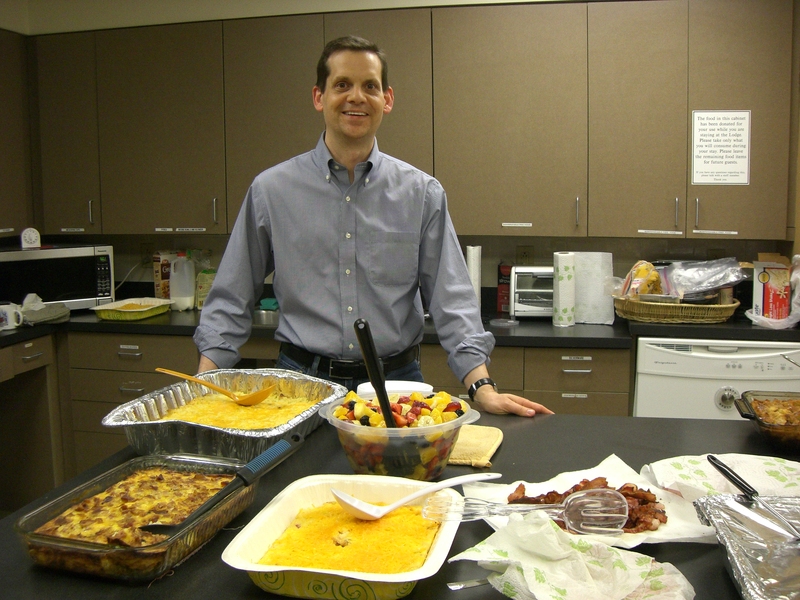 Several times a month, Hands On Nashville volunteers put together a delicious dinner menu for Hope Lodge guests. > Learn more and sign up here. Not into dinner, but love the idea of bringing light into someone’s world who is dealing with illness? Consider game night, where you can play a simple game of bingo with the guests and provide a welcome break from stress. Or give just a few hours a month driving cancer patients to their life-saving treatment as a Road to Recovery driver. Anyone who has a driver’s license, a safe driving record, personal auto insurance, owns or has access to a car, and can spare as little as one morning or afternoon a month is perfect for this volunteer opportunity. If you’re interested in raising awareness or funds to support the work of American Cancer Society, check out Relay for Life or consider becoming an event committee member. Read more about additional volunteer opportunities with the American Cancer Society and Hope Lodge here. Kevin Groom makes a mean home-cooked meal, and the cancer patients and their families that he cooks for each month at Hope Lodge savor every bite. This IT expert and country music lover started volunteering with Hands On Nashville in 1997, a few years after moving here. Looking for an opportunity to meet new people, learn more about Nashville, and connect with others to whom he might lend a helping hand, Kevin got involved by helping to plan Hands On Nashville Day two years in a row. 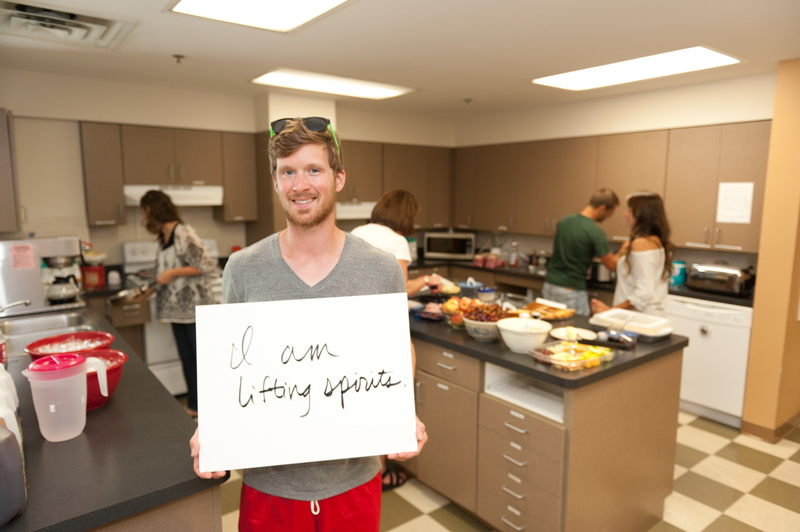 In 2007, Kevin began volunteering regularly at The American Cancer Society’s Memorial Foundation Hope Lodge. This amazing organization provides free housing for out-of-town patients undergoing cancer treatment and their families. 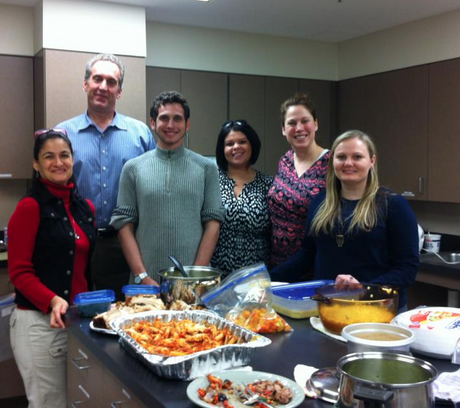 HON volunteers provide home-cooked meals to help make the guests’ stay more comfortable. Interested in joining Kevin and the other cooks at Hope Lodge? Dinner at Hope Lodge occurs on the third Monday, and the first and second Wednesday of each month from 5:30 to 7:30 p.m.